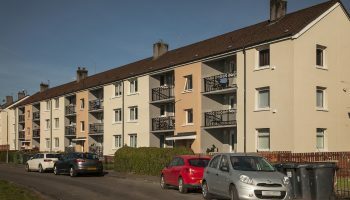 A.C. Whyte is a market leading main contractor in the major refurbishment of social and private housing across the country. We pride ourselves on delivering a service that exceeds expectations, thanks to every member of the A.C. Whyte team, passionately adopting our ‘right first time’ approach. We believe that with the right team, processes and culture, we can consistently deliver ‘Quality as Standard’ for our clients, continue to transform neighbourhoods and change the lives of the residents living in the communities where we work. There has never been a more exciting time to join us. We are expanding both our team and our horizons. A.C. Whyte are a forward-thinking company, always leading the sector in developments and approaches. We are a family run business, and the values we started with over 45 years ago, proudly remain the same today. Every member of the team is trained and supported to ensure they are equipped to deliver in their role. We champion the team to keep us at the forefront of our sector. Joining us now, you would be pivotal in shaping our future as well as your own.